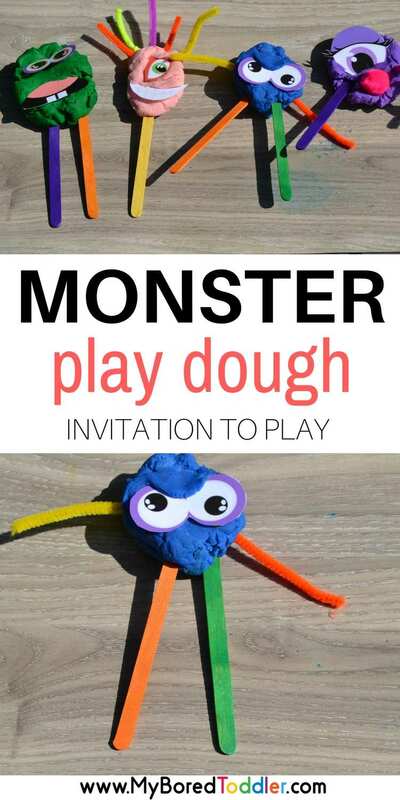 This monster play dough invitation to play has been our most played with activity in our house today. Even the older sister has joined in with this one, making it a great multi-age activity. 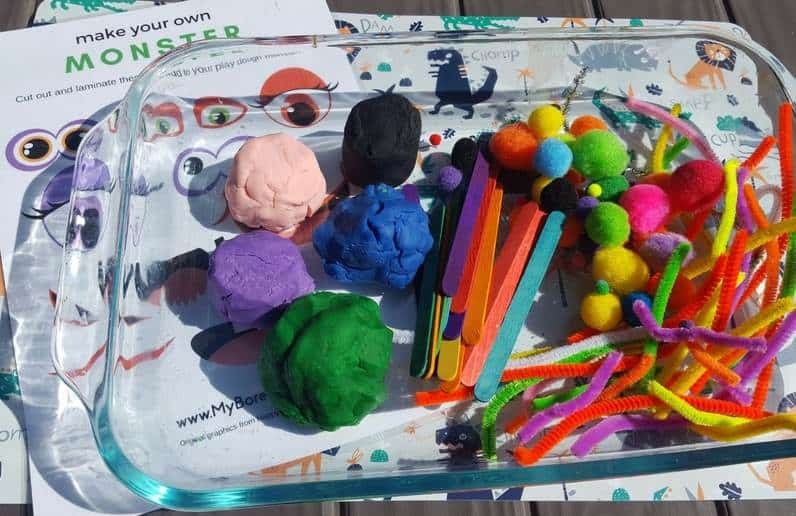 We love play dough in our house and often make our own, although I do admit to loving the play doh mega packs – such value for money and it’s great to always have a big range of colors on hand. 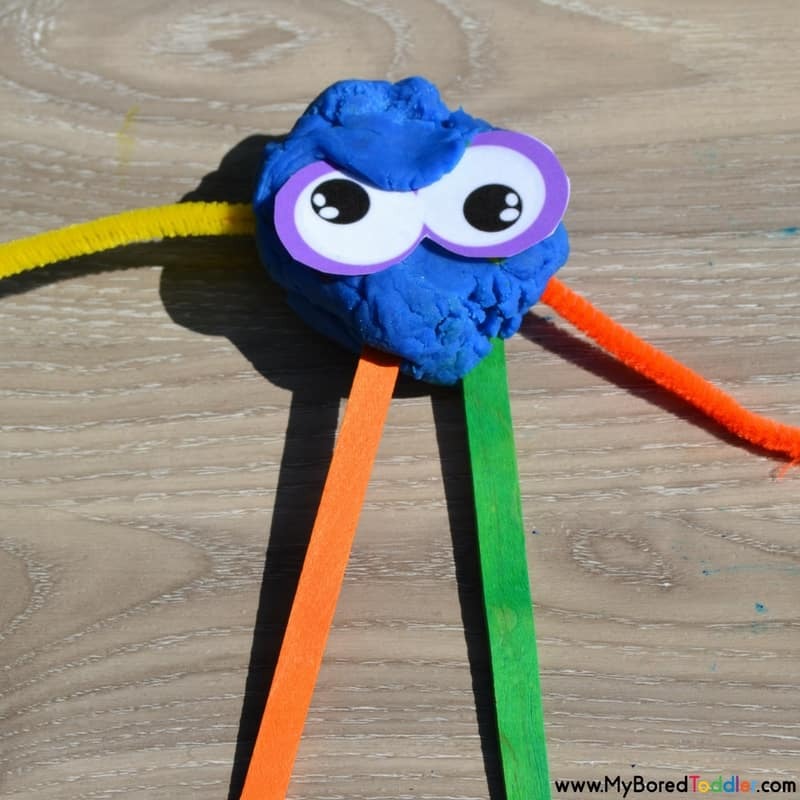 This week we made a monster play dough invitation to play activity to coincide with the Virtual Book Club for Kids book of the week. If you haven’t joined in the book club, yet you can get all of the info and join in the fun with the Virtual Book Club for Kids Facebook group. 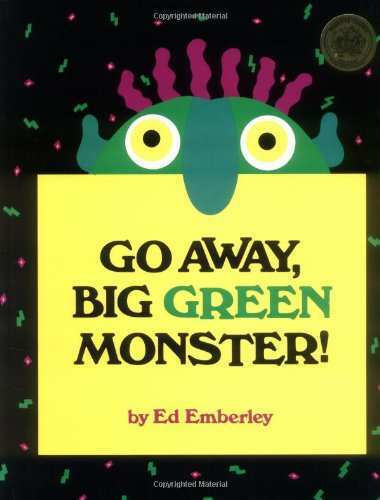 This week the book of the week is Go Away Big Green Monster by Ed Emberley. You can get a copy from Amazon HERE or borrow it from your local library. 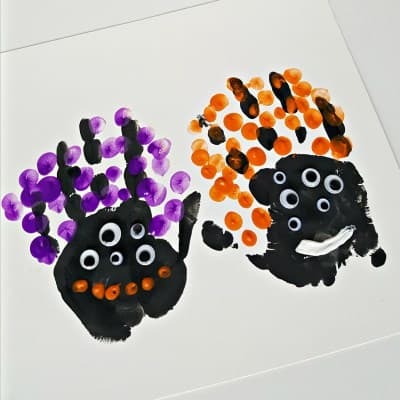 This book goes great as part of our Halloween Activities for Toddlers. 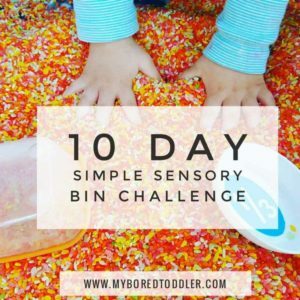 Don’t worry if you haven’t got a copy of the book, you can always watch the Youtube video below and then get straight into the activity. 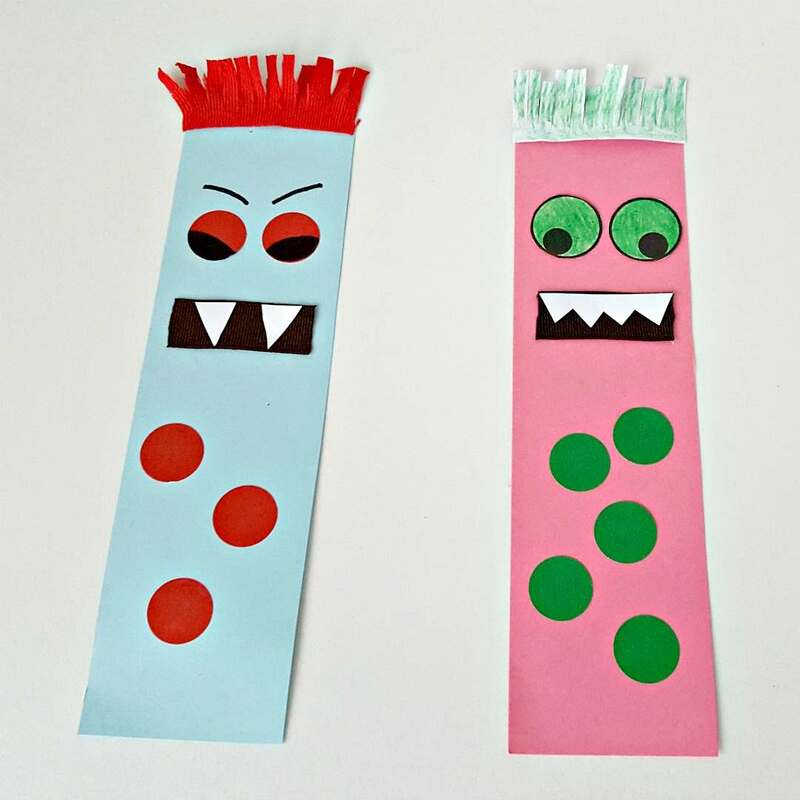 You’ll notice that for our monsters we used printed and laminated eyes and mouths (there’s a free download of these below). I decided to make these to coincide with the book, but if you prefer you can use googly eyes (these monster ones look good!) and other items from your craft box instead. I do like to laminate what we print out as that means that I can use it over an over again. 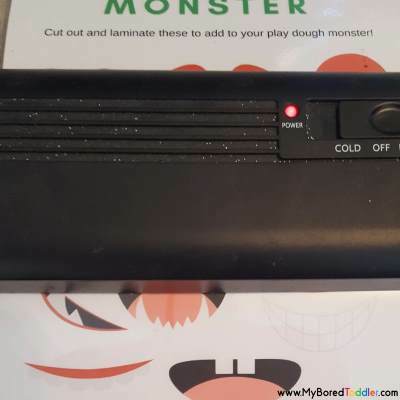 I know it’s a teacher thing to always laminate things, but laminators are so cheap these days that it’s worth the investment if you make lots of children’s activities. You can get an A3 size one for less than $25. I always recommend this one. 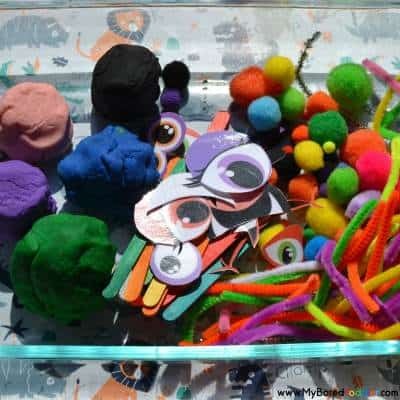 Pipe cleaners / Chenille stems – if you don’t already have some of these they are great to keep in the craft box. 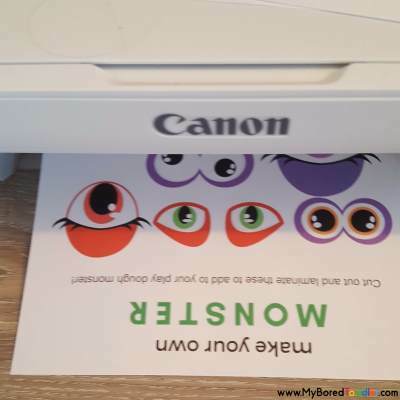 Printable Monster eyes and mouth – Get your copy HERE. 3. 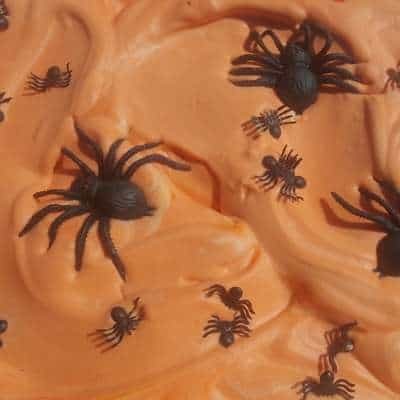 Put out your playdough and all of the decorations. 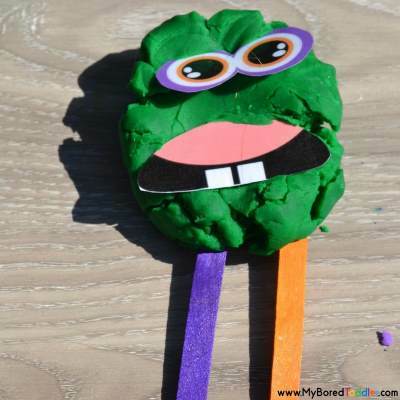 I like to let my kids use playdough on a placemat as it makes it a little bit easier to clean up. I cut up my pipe cleaners so that there was a variety of sizes. 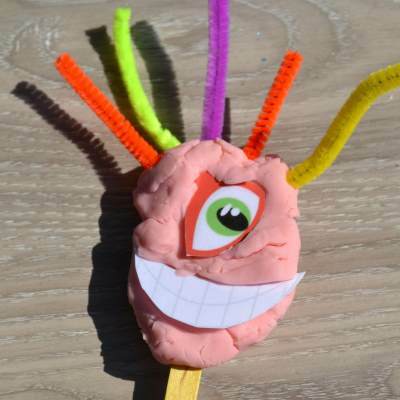 Here are some of our Monsters!